KA-BOBZ. I can’t stop saying it. Definitely naming my next dog Kabob. There’s a doggy that lives in the apartment down the street from us named Onion, or so we thought. Yeah. Onion, like an onion. The owners happened to be hanging outside with Onion over the weekend while we were getting out of a cab. Onion is so much funnier. Alas, Fourth of July weekend is upon us and my blogging boos and I are back with the feistiest of festive fare! Ya gotta love any holiday revolving around eating beauteous food whilst celebrating this great nation. Fireworks optional. KIDDING. Ever since I turned four and got over the BOOM SHAKA LAKA that scared me more than half to death (or so says my mom), I’ve been a big fireworks fan. I went pretty literal with the theme this time because let’s be honest, berries were majorly on sale and as if you couldn’t tell from Monday’s post, I wasn’t quite in the mood for fancy pants berry cashew cheesecake or something like that which I totally would’ve done under other circumstances. But the current circumstance is that I want quick and easy, which I assume you do as well. 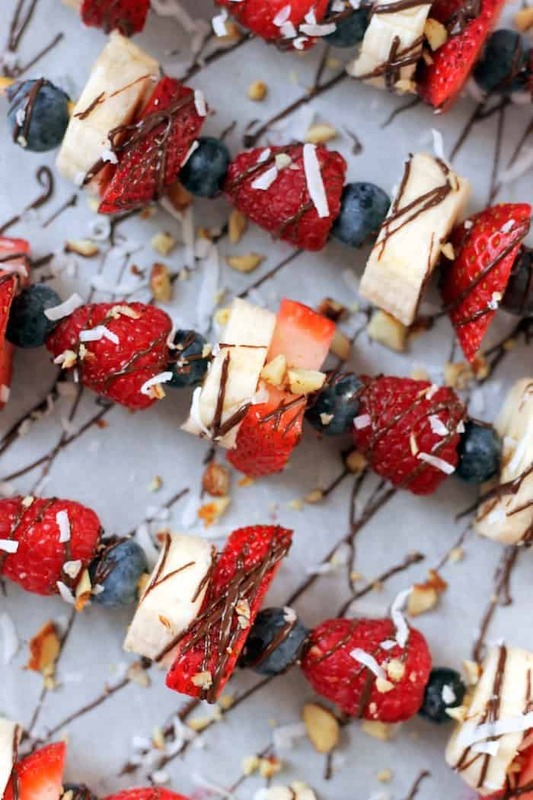 Simply pop some gorgeous berries on a skewer, drizzle with melted chocolate chippies, and sprinkle with toppings of your choice. Anything salted + chocolate is my choice. 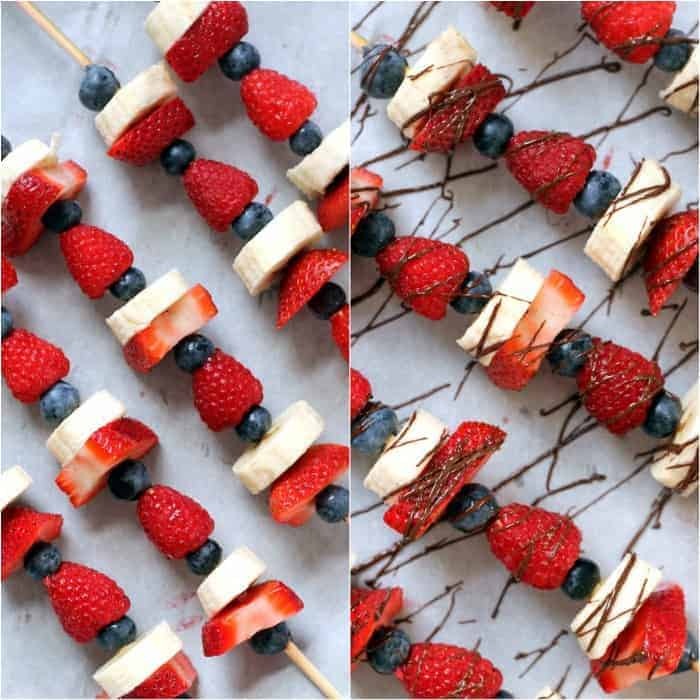 The perfect healthy party treat, these easy chocolate covered fruit kabobs will please kids and adult alike. First, have all your fruit sliced and ready so you can easily build the kababs. Line a dish or baking sheet with parchment paper for easy clean up. Place chocolate chips in a small bowl and microwave in increments of 20 seconds, stirring each time. Once melted, stir in coconut oil and set aside. 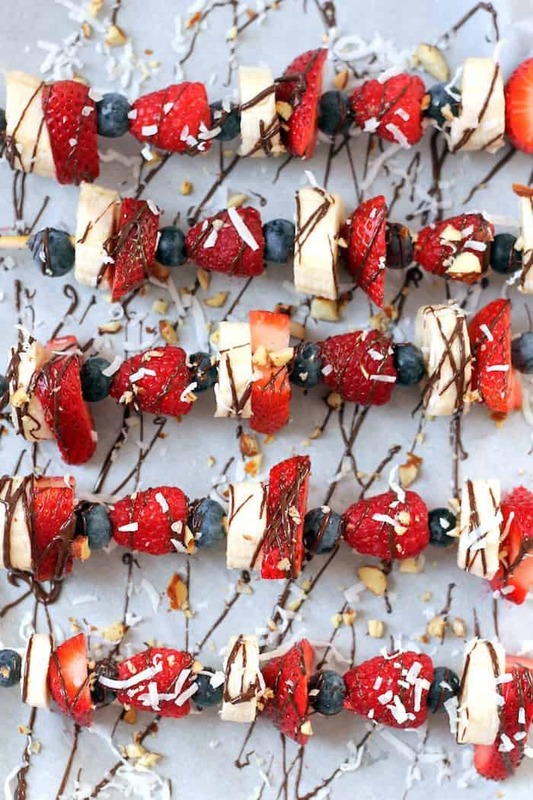 Thread fruit onto skewers leaving a couple inches open at the bottom. Start by placing a blueberry followed by a banana slice, strawberry slice, blueberry, and raspberry, repeating 3 times ending with a blueberry (see pictures). Repeat with remaining skewers. You may have fruit leftover. Place skewers on lined baking sheet. Using a fork, drizzle skewers with desired amount of melted chocolate. (It will harden nicely at room temperature thanks to the coconut oil!) Sprinkle with desired amount of coconut and almonds. 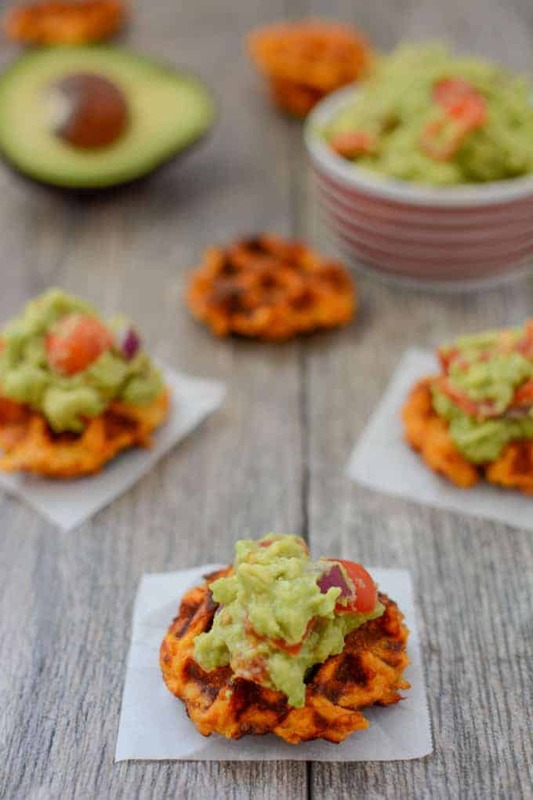 You can store any leftovers in the fridge or freezer. Now let’s round out this meal with eats from the rest of the gang! lololol Onion! Wow, you really misheard that one. I always said if i ever get a bulldog i’m naming him Beef. ps this looks deeeelish. love the toppings and chocolate drizzle. I want to have a ke-baby with these. The fruit kabobs looks so good. Yum. Perfect dessert and so festive. 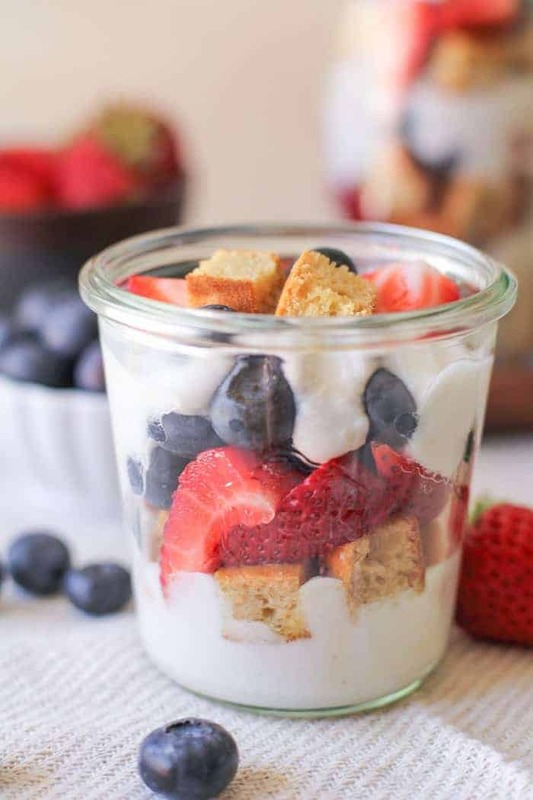 Such a good idea to get a sweet tooth fix without loading yourself with processed sugar and artificial ingredients. How to you keep the bananas from turning brown? Honestly I made these right before serving so I didn’t have an issue!